Greg Rollett is an Emmy® Award-Winning Producer, Best-Selling Author and media expert who works with business owners, experts and entrepreneurs from all over the world to create personality driven TV shows and media content that drive their business. 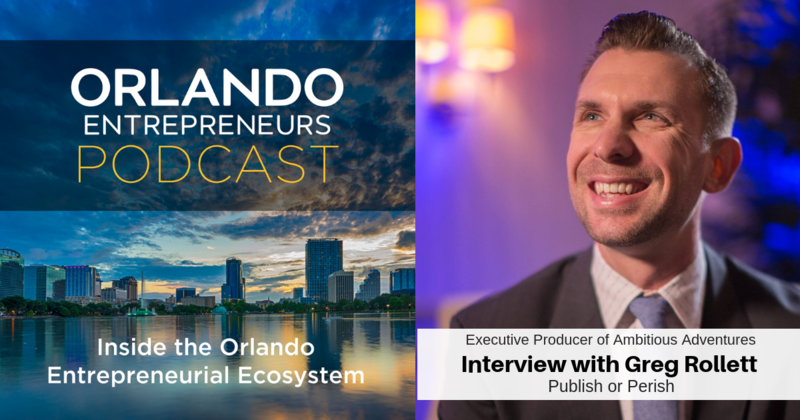 He is the host and Executive Producer of Ambitious Adventures, a travel reality show for entrepreneurs that can be seen on Entrepreneur.com as well as Amazon Prime Video. Rollett is the founder of Ambitious.com, and Ambitious TV, a media network that is known as “the voice of small business.” Through Ambitious.com and the Ambitious TV Network, they have been able to create hundreds of episodes for their clients that are now seen across the globe on Apple TV and Roku, as well as many other online and offline outlets. This gives small business owners an opportunity to be seen and heard by the people that they can best help. Greg is the proud father of 3 boys and married his high school sweetheart. When he isn’t in front of or behind a camera, he is training to be the next American Ninja Warrior and shooting arrows in his backyard.